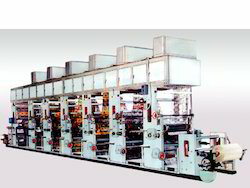 Rotogravure Printing Machine are applicable for continuous multi-color printing on rolling materials in good printing performance such as Cellophane, BOPP, PET, PVC, PE, Aluminum Foil, And Paper, broadly applied for all types of super-quality printed matters. We are well known manufacturer Rotogravure Printing Press machine and components and we make it with the latest technology, these are inspected properly by our quality examiners. 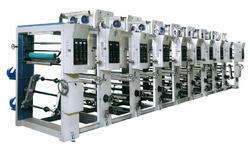 Machines offered by us are available with us in several models at most reasonable price.